We’ve all seen that iconic scene in “National Lampoon’s Christmas Vacation” where Clark Griswold basically lights up the entire block with his Christmas decorations. It’s hilarious and memorable. It’s also pretty unsafe. According to an article from U.S. News, the United States consumes more electricity for Christmas lights than many countries do in an entire year. That’s a lot of potential for electrical related disasters. 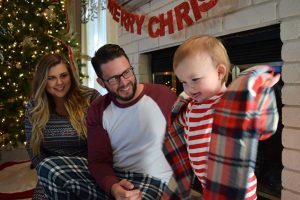 In an attempt to brighten your holidays without short-circuiting your holiday cheer, here are a few electrical safety tips that won’t dim your spirit. Even if you bought them brand new or replaced and carefully checked the wiring the previous year. You’ll be leaving your lights plugged in for several hours and they’ll most likely be unattended. 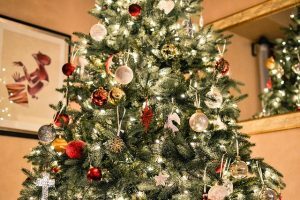 Home decorations can get damaged by any number of reasons; whether it’s from storage, the outdoor elements, or the cat, any damaged electrical wires or decorations can start a fire. Yes, it’s a funny scene we referred from The Griswolds, but again, it’s rather dangerous to overload your circuits. When too many things are plugged into one outlet it can start a fire. Using proper extension cords can minimize this problem. Be sure to place the extension cords in the proper location; they shouldn’t rest on furniture or be underneath rugs. Be mindful that there is a difference between indoor and outdoor extension cords and use the correct ones. If you’re using a real tree, be sure to keep it watered. Dry trees and electricity are literally what fires are made from. If you’re using an artificial tree, keep it away from heat sources like fireplaces or heat vents. You’re likely to have a higher traffic volume coming in and out of your home over the holidays as well. Make sure to keep cords out of the way and out of areas where people are walking.